This burger spot just created a game using your favorite food. This is: FRY ROULETTE! Ground House in Irvine, California, specializes in wild burger concoctions, but its newest dish focuses on the burger’s classic sidekick: fries. The game comes with SIX types of fried goods: tater tots, seasoned fries, waffle fries, onion rings, sweet potato fries, and classic french fries. You never have to choose between your favorite sides again. It also comes with TWELVE homemade dipping sauces, all inspired from around the world. Just a few tasty examples: pineapple habanero, banana ketchup, Tabasco cream, and horseradish BBQ. 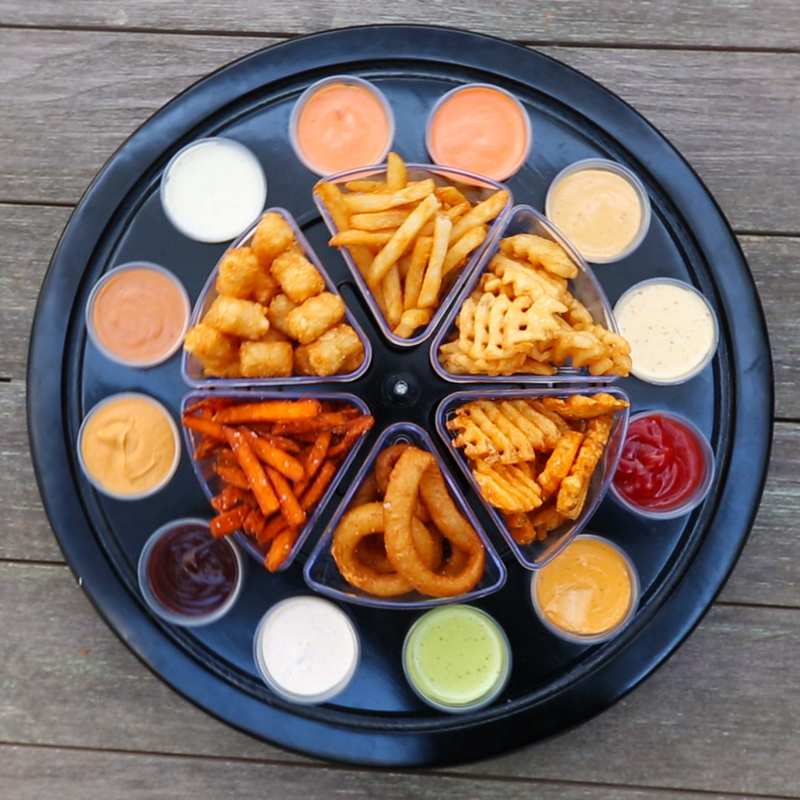 Use your fry container as an arrow and spin, spin, spin the sauce wheel until it decides your fate! The best part of fry roulette? Everyone is a winner.